Talking Great Teachers And Students With Two Piano Masters : Deceptive Cadence The relationship between a teacher and a student can be transformative. And what pianists Gary Graffman and Lang Lang say about that work together resonates far beyond music. Pianist Lang Lang sits down with his own revered mentor Gary Graffman, to discuss what makes great teachers â and bad ones. The relationship between a teacher and a student can be transformative. It's a particularly important relationship in classical music. A teacher is part mentor, part manager — even a parental figure. Recently, I had the unique opportunity to sit down with two piano greats who bring a special dynamic to this conversation: pianists Gary Graffman and Lang Lang. This occasion marked the first time this teacher and former student have sat down together this way to talk about their work and each other's music-making. 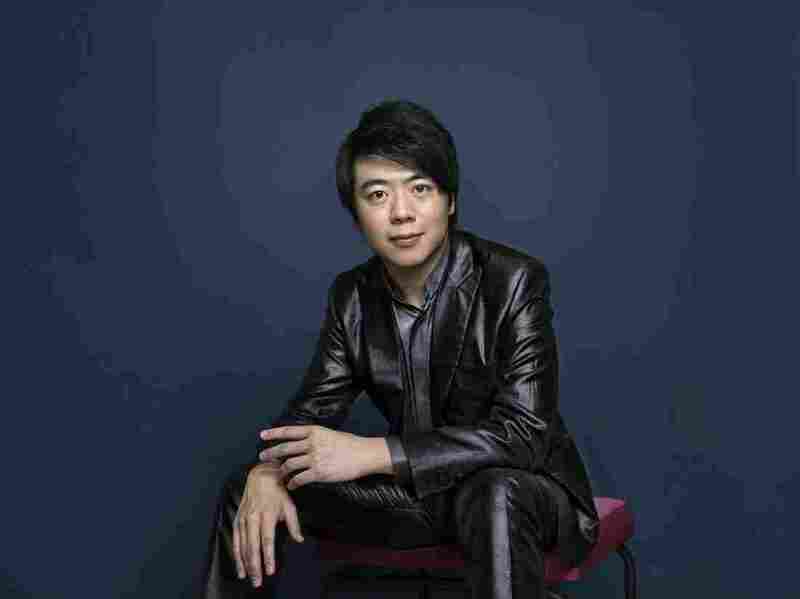 Now a worldwide superstar, Lang Lang began studying at age 14 with Graffman at Philadelphia's Curtis Institute of Music, arguably the greatest conservatory in the world, where the elder artist was director and then president between 1986 and 2006. And Graffman knows more than a little something about good teachers himself. He studied with greats like Vladimir Horowitz, Rudolf Serkin, and Isabelle Vengerova — the same teacher who also trained Leonard Bernstein. I think it's really interesting to see how both Graffman and Lang Lang really reject a very authoritarian, my-way-or-the-highway style, the whole idea that you have to suffer terribly to learn how to make beautiful music. There's a misconception that classical musicians have — or at least maybe should have — very severe personalities. And that to be teachers, they might even have to be even kind of scary to be successful. Both Lang Lang and Gary Graffman told me that this couldn't be farther from the truth. And it seems like what they have to say about teaching and learning could be applied to many different areas and fields, not just music and the other arts. Lang Lang has tried to integrate what he's learned from Graffman into his own music-making: on his newest recording, for example, into his newest recording, he plays Prokofiev's Third Piano Concerto — one of Graffman's signature works — with the Berlin Philharmonic and conductor Simon Rattle. Lang Lang has also paid homage to his beloved teacher in other ways. Lang Lang inspired the record label that they're both on, Sony Masterworks, to release a 24-disc boxed set of Gary Graffman's recordings. Sony released it in time for Graffman's 85th birthday this fall. Anastasia Tsioulcas: So I want to start by talking about both of your experiences as students first. Gary Graffman: I did start at 3, but on the violin. My father [Vladimir Graffman] was a violinist, a student of Leopold Auer — who was one of the greatest violin teachers in St. Petersburg. He [Vladimir Graffman] was in the same class as [Jascha] Heifetz, [Mischa] Elman and [Efrem] Zimbalist. By the time I was 4, one year later, he decided that I had no talent whatsoever, and [thought that] maybe I should study what string players consider an easier instrument. That's what string players say about the piano, you see. Well, it's true! On the violin, you play a note, you have to find where on the string that note is. On the piano, you just press — you know, there's A, or C, or whatever note you're looking for. So. And that I took to right away. And by the time I was seven, three years later, I auditioned for and I got to Curtis. And I studied 10 years at Curtis with Isabelle Vengerova, who was a student of [Theodor] Leschetizky's, and was on the faculty of the St. Petersburg Conservatory when my father was a student there. And I studied with her for 10 years. And then she arranged for me to play for [Vladmir] Horowitz, and then I worked with Horowitz for a number of years, and also in Marlboro [Music Festival], especially in chamber music, with Rudolf Serkin. Pianist Gary Graffman, who turned 85 in October. AT: So I wanted to talk a little bit about your experience, especially having gone to Curtis as such a young fellow. Did you have a sense — and of course now, you've had such a long relationship with Curtis, which is another whole issue, and a whole other layer to unfold — I'm curious to know what your experience was, what you recall, from those days in terms of what the model for a good teacher would be, or how Miss Vengerova ran her studio. Was it sort of authoritarian? Was it very open? What was the dynamic like? GG: In general, teaching everywhere was more authoritarian at that time, and much less now. And I wonder if one of the reasons is that because of the Russian Revolution and because of Hitler — so many musicians came to settle mostly between Boston and Washington, especially New York, and a group in Los Angeles, especially composers as well — that you had all this difference of opinion. So that when I was studying with Vengerova — Russian school, Leschetizky — one of my best friends was studying with Serkin, another one of my best friends was studying with [Artur] Schnabel. And then when we started to teach, we had all these different influences. And this I learned from Horowitz — who was not authoritarian, but of course, I started to play from him when after I was already in my 20s, early 20s, and grown up and giving concerts — that there's not just one way to do things. And Horowitz would criticize me on the basis of what he thought I was trying to do, not necessarily the way he would do it. So I think I employed that. I think if you — I don't know if Lang Lang would agree — I think he would, though — all of the talented students of mine he's heard, besides himself, that you couldn't tell that they were all with the same teacher, necessarily. AT: So it becomes less of, "This is the single path that you all must follow and aspire to." GG: Right. No, naturally, of course, there can be differences of opinion and so forth, but much of it is subjective. It's personal. And if somebody makes a convincing case out of something quite differently than what I did, I might make suggestions of course on the basis of that, and even say, 'Here's another way of doing it,' but I wouldn't, you would never say 'It's wrong, you have to do it the way I do it,' or something. AT: Sure. I think that's important. And you, Lang Lang, I know you have talked quite a bit about "Professor Angry" [one of Lang Lang's early teachers in China] in the past, and if you don't mind, just sort of explain what your relationship with a bad teacher — a bad teacher for you at that point — what that felt like to you, and what the experience was like. LL: As the great teacher, Mr. Graffman, said, the great teacher always gave the complete view in music toward the student — not of alternatives, not just one way of doing it. But for bad teachers, or less talented teachers, they will tell you, "This is the only way, this is the rule, and if you don't play like this, you've no future." So basically, it's very narrow-minded and kind of closed for her or himself, and never listen to other people, other ideas. So in a way there is your run of power, there's nothing left. AT: And when you arrived at Curtis, was that sort of a big step in terms of perspective for you? Or what a teacher relationship could be when you started studying with Mr. Graffman? Or had it come earlier for you? AT [to GG]: And what impressed you about his playing in particular? GG: Well, I remember very well. It was '96, he sent me the Chopin Second Piano Concerto. And — were you 13 at that time? GG: And besides that he played marvelously, was very talented, but there was something else that you don't expect from somebody who probably has not had much experience in playing with orchestra. He knew when to blend in with the orchestra, when to look at the conductor. The Chopin is full of freedom in so many places, or these — it sounds like improvisational passages. And when you're playing by yourself, you're fine, but the orchestra has to come in at the end of this group of notes. And he's looking at the conduc — I mean, just instinctively, I mean, not that a teacher told him to do it, it just he felt he had to do it then. AT: And when you [Lang Lang] arrived in Philadelphia, what was your first impression of Mr. Graffman? GG: They're using "r"s all the time. The "rrrrrrrrrr." GG: Yeah, I don't really. Please, let' s not exaggerate! But yes, I know a little bit, and I can read a little bit. LL: Yeah, the Fantasy. It changed tremendously from the very first lesson. He broadened up the whole orchestra in front of me, so piano became the entire orchestra, rather than piano itself. So this is even just after the first lesson, you know? I'm like, "Wow, I need to think much bigger picture here." This is not just playing the notes. But this is certainly — it's different characters, you know, so many colors, alternatives. And the phrasing — the much longer, much more interesting phrasing than, you know, I ever did before. And the sound, you know, the certain ways of pushing the keys! Even from the first lesson, I thought, "Wow, this is a totally different game." AT: Wow. Well, first of all, it sounds like there was a lot of working with textures and color and phrasing, you know? GG: Well, and also: if you have a bass line, do you think of it as a cello, or as a bassoon? GG: And also voice. You have a beautiful melody in well, any composer. Well, where do you breathe? A singer has to breathe. Or an oboe player has to breathe somewhere. GG: Where? Why? You know, that kind of thing. AT: And that was totally a new kind of thinking for you? LL: Absolutely. Absolutely. And the thing is, a lot of teachers know how to talk about it, but Gary knows exactly where! And he tells me, you know, "This is only one alternative. You can try another alternative. This is B plan. This is the plan C." He gave you the whole picture of many different worlds, many different possibilities. And you can choose in the end, but it's just you've never seen: "Oh wow, this is — you can actually think of music this way, and that way — and this kind of way." And it's just incredible. GG: But also it's a pleasure for a teacher to have a student who gets it right away, and even before you finish the sentence knows what, you know, what you're aiming for. And I mean Curtis is a very small school, and with very few students, and so it's kind of a pleasure to teach there, and then to have students — well, like Lang Lang, and then several others who caught on right away. AT: Well, that's one thing I wanted to ask. How large is your studio now? AT: A benevolent one, I'm sure. GG: And then seven years since then, where I'm just on the piano faculty again. When I was the head of Curtis, I usually had only about three students, because I had other things to do. And I thought afterwards that I'd have four or five; well, actually I have six right now, which is sort of maximum. AT: And I really did want to talk to something you've alluded to already: What makes a good student? I mean, obviously, you [GG] have this incredible history of mentoring students, and you, Lang Lang, you've really, especially in the past few years, have really started encouraging younger musicians to take this up. What makes a good student? LL: I think that the students need to be — first of all, respect your teacher. And also the trust between teacher and students is one of the key to success. AT: And when you say "respect the teacher," what do you mean, exactly? LL: Because sometimes, you know, there are some teachers that you like. But the thing that — for example, you know, because Gary is really the greatest teacher, because he love his students. For him, students are like his kid — his sons or daughters. So right away, we feel the love, you know, from the very beginning, that he cares about students personally. And plus, his great communication ability, you know, to communicate with the students. Sometimes teachers — maybe some teachers are wonderful, but they cannot communicate well with students, and you don't know what he or she is talking about, and is always pissed off. And also you know, as a teacher, for example, I believe that great teachers — sometimes, you know, in life, there's not every day we're happy, right? But sometimes the teachers reflect what they get from their normal, you know, hot temper, and they put that into the teaching, like if they're mad of somebody and they start mad at the students. It's always happened! But I think for students also, we need to understand what teacher's trying to inspire you. And we need to broaden that ideas. Basically, to make that idea very personal to yourself. And you really need to work hard on, you know, to deliver what the teacher is trying to teach you, and make it very personal. AT: One thing you mentioned earlier, Mr. Graffman, that I've kind of been contemplating is this idea of you may be the authoritarian, "my way or the highway and there's only one way" in part may have been because of changes in sort of where teachers were coming from, and the sort of the traditional 19th-century Russian model. I wonder if you feel like those changes in dynamics between teachers and students are still very much an American experience — that there's maybe a little bit of a broader horizon, or is it in an international experience at this point? I don't know. I mean, it's very hard to talk sort without descending into stereotypes. LL: I know exactly what you're talking about. Actually, Gary, when he, you know, running the Curtis, which is of course a very different style than today. LL: And it's really amazing that you felt, the whole school, is not a conservatory. It's a home. I think that difference — Curtis, that time, to all the other schools in the world — is that you are at home. And when you are doing a piano seminar, he will invite the best musicians who come from world to give us a piano class. And all those teachers — even some of them are Curtis teachers — but some are not Curtis teachers. They are from Europe, they're from other parts of the world, but they come to Curtis. They are actually doing the Curtis style, which — they really want to integrate the Curtis tradition. And even though Gary has this very strong tradition of a great Russian school, in a way, but I'm sure that the way you learn from Moscow Conservatory, which I visited just last year, you know, and with the style at Curtis, it's quite different. I would say, in that place you feel that you are in a huge conservatory, you have that kind of feeling. But when I came to Curtis, I just felt that from every student, I learned a great deal. GG: Yeah, that's what we tried to do. But what you were driving at, I think, is this — probably it was more in the States than before. Well, look, at the beginning of the 20th century, teachers in Russia, teachers in Germany, teachers in France, they generally stayed where they were. They had studied with other teachers in that same country. And sure, they heard other people, everybody went on tour and so forth, but still it was kind of a national French, German, Russian — mainly Russian and German, actually, and in woodwinds you would have more French, Italian and so forth — but they all came mostly to America. So here is where you had this availability of all the different styles, and then big talents, big young talents. I mean, I'm thinking of Leonard Bernstein, who was a little older — 10 years older, I guess — than me, who also studied at Curtis with Vengerova. But he studied composition and conducting and so forth. You have this combination of things. And this is now actually beginning to spread all over the world. I mean, the best teachers — not all of them, but many of the best teachers — in Moscow and St. Petersburg are also teaching in Germany and other places and so forth. So it's beginning now. And in fact, a student whom I spoke to, who just graduated last May, of mine, who called me today from Salzburg, that she just played and was immediately and enthusiastically accepted — the teachers there are Russian, French and German. So that would not have been the case many, many years ago. AT: I have to say, quite a few of my friends went to Curtis in the early '90s. I felt like — and I'm not saying this because you both are in this room — but I always felt like they always felt like Curtis — when they talked about Curtis, it was with a very different tenderness. GG: Well, there are only 360-something students. LL: It's like one class. GG: There are a maximum of 20 pianists! I mean, usually 18 or 19. Twelve cellists. So everybody knows everybody else. LL: And I can also tell you a really interesting thing. Sometimes students have even more things to say than the visiting professors! [laughter] I remember one of my good friends from Curtis was Jonathan Biss. AT: They get right in the swing of things. AT: So let's talk a little bit about the [Gary Graffman] boxed set. So let me get this straight: You [Graffman] had no idea that Sony was putting this boxed set together? GG: No. None. I was having dinner with Lang Lang, and he said something about "Isn't that wonderful?" And I said, "What are you talking about?" And up to that point, not all, but well, some of the concertos that I'd recorded had been — this was all done on LP, by the way — was put on CD. But none of the solo records, and not all of the concertos. So he said, yes — see, I was first with Columbia Records. I'm sorry, I was first with RCA Victor, and then later with Columbia, and then Sony took over both! LL: Both! [laughs] Same company. GG: So as a result, I think that I'm the only musician — not only pianist — who's recorded with all five U.S. major, or so-called major orchestras. I mean, there are others who are also major, the so-called "Big Five" [the Boston Symphony Orchestra, the New York Philharmonic, the Philadelphia Orchestra, the Cleveland Orchestra and the Chicago Symphony Orchestra]. Because — and just by accident — because when I was with RCA, they had Boston and Chicago. And I recorded with Boston and Chicago. And then when I went with Columbia, they had Philadelphia, New York, and Cleveland. So I recorded with those. LL: That's an amazing achievement, seriously. LL: And you see how Gary did recording with [Eugene] Ormandy, [George] Szell, Leonard Bernstein, I mean, and a few other greats. I mean, you just say wow. That's really incredible! AT: So is it the complete material that they have? GG: Well, yeah, 24 CDs. AT: So, are you happy with the results? I mean, the after-the-fact results? GG: Well, don't forget, I approved them at that time. GG: Yeah, so there's something there — if there's a question, then it's my fault. AT: But I mean, it's so great to have these things available and collected. I think it's a real testament. And I think it points too to a sort of a period in American classical music of, I mean, you know, of course, there is the, oh gosh, I'm not sure I can remember the acronym — Outstanding Young American Pianists? AT: Yes, OYAP [a group of then-rising talent including Gary Graffman, Leon Fleisher and William Kapell]. Do you actually call it OYAP? LL: I actually must say that it's a major release, because those recordings are so valuable to me. I actually listened to some on the old records and to some also on the tape, because Gary did transfer those old records to the tape for me. So I just loved it. So when I grew up, at Curtis and later, I always have those recordings as a great examples of making those — Prokofiev, Rachmaninov, and Schubert "Wanderer" Fantasy, you know? It was really reverent recording for me. So I'm so happy actually when the head of Sony, Bogdan [Roscic] called me. He said, "This year is Gary's 85th birthday." And I said, "So you should" — I mean, that's really incredible, even though he look like 58. Or less! And they said, "OK, we have a good idea. We should put everything he recorded on RCA and Sony together." And I said, "Wow. I have been waiting for this day, actually!" And you see all these great masters' work into CD and into digital downloading for everybody, every students, to enjoy. And I think it's fabulous for the music world. And also Gary represent that golden generation of American pianist, and I think it's real valuable recordings. LL: One of Gary's signature piece. LL: I mean, he is the reason I play the piece. When I came to Philadelphia, the second year, he said that — actually, I listened to his recording with Szell and Cleveland — actually, both concertos already had a CD. It's I think the Sony "Great Collector's Series." And so that I already listened. And I right away I said, "Gary, can I play [Prokofiev's Piano Concertos] No. 1 and No. 3 for you? Because I love your recordings." And he said, "OK, please, learn." So I played both No. 1 and No. 3 for him, and also later No. 2. But No. 3 somehow I really start loving it, and I start performing it with Philadelphia Orchestra two years later. And then so I always, you know, take Gary's recording as a reference. AT: And I wonder, did he help you find your way into Prokofiev? LL: Absolutely. Because before I didn't play Prokofiev. I still remember not only in Prokofiev Third, but I also played Prokofiev Third Sonata, Prokofiev Seventh Sonata, Prokofiev Eighth Sonata. GG: I remember very well, yeah. LL: And it was because I didn't understand. Because Prokofiev, his work was composed doing kind of a World War II style, and so there are lot of struggles and dark humor sometimes, and huge emotional ways of melodic thoughts. But you need to have a real great mentor to bring those things out to you, because it's not easy to see it obviously, because it's pretty hidden. A lot of things are really, you know, it's under. And Gary is like a great conductor. He showed me, "Here's the highlight, that's the turning point of the war, that needs to be exploded!" And also actually he take Prokofiev as a great example for me to learn how Russian style really broadened into the piano technique, and how to use arms and shoulders, not only the fingers. AT: But the whole upper body. LL: Yeah, the whole body, of those grand sound coming out. And he showed me a lot of great idea that Horowitz, who was working with Gary for many years, you know, those kind of golden sounds out of the piano. 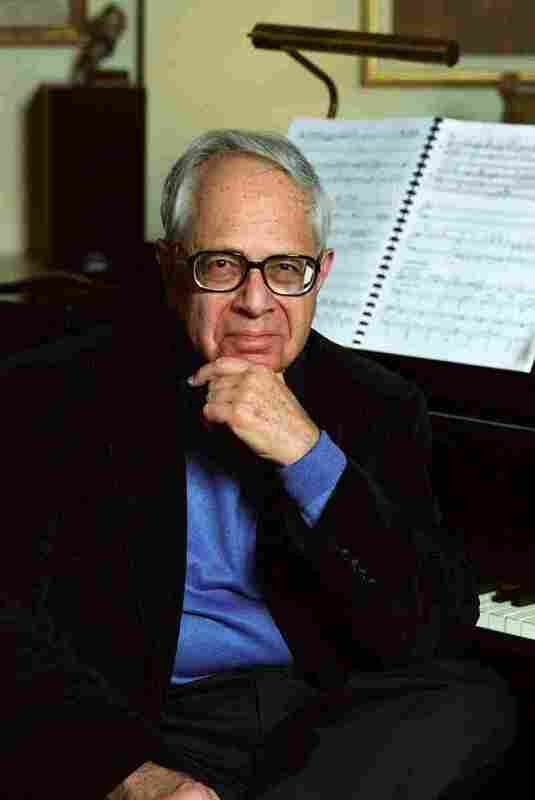 AT: Well, how would you [Graffman] say that you would sort of introduce a student to this music? GG: Yeah, yeah, the premieres, in Carnegie Hall. And I went to all those concerts, and I remember those three. It's terrible: He never recorded the Sixth or the Eighth, only the Seventh; I don't know why. And actually [Sviatoslav] Richter played the world premiere of course in Russia. And so I knew them from, you know, the first performances, and spoke to Horowitz about it. But spoke to Rostropovich a lot about it, because Rostropovich was a wonderful pianist obviously, I mean, besides being one of the greatest cellists. And he was telling me about life then. I mean, one has no idea what it was like, really. Students should know what's going on, if they're playing whatever music, what was going on historically. An example: When I was, I don't know, 15 or something, the Estampes of Debussy. And the first piece is called "Pagodes." Well, a pagoda is an Asian building, a temple, you know? And I couldn't make anything out of this piece. I played all the notes the way — more or less, I think — the way the composer wrote them, and it meant nothing to me. And then I read, when I was maybe 17 or 18, what was going on in Paris at that time, and a gamelan orchestra from Bali had visited Paris at that time! AT: As part of the Exposition [the 1889 Exposition Universelle in Paris, which Debussy had visited]. GG: And that piece is gamelan, tried to be played on the piano! I mean, you have to know all this stuff. AT: Well, I was going to ask, do you sort of assign reading to your students, you know, if it's appropriate? GG: Yes. For Kreisleriana of Schumann, you have to read Kater Murr (Growler the Cat) by E.T.A. Hoffmann, which talks about this sort of boring kapellmeister musician who writes his diary every night, and his cat — when he dozes off, the cat starts writing its diary, and then breaks off in the middle of the sentence when he sees that his master has just awakened, and then he continues writing. So all these disjointed things are directly from the book. AT: You study history, and hopefully literature. AT: Culture and art, and all these things. And I think that's a really important part of the experience as well. LL: And I must say that I learned so much about China from Gary as well. [laughter] Because he is the person who live — you know, in the West, I mean — is the person I know who knows China better than everybody else, because he's a big Chinese collector. AT: Interesting. So was this all Chinese music for piano, or sort of for indigenous instruments too? GG: Well, when I had the music, it was for piano, but it was originally — I don't know enough about that. LL: It was folk, or for the traditional. AT: But that's so funny and wonderful to have that sort of way into your own culture of birth! GG: I've been to China about 36 times. The first time was 1981. LL: He was even in the Gobi desert. GG: I've been there more than once. AT: Wow. Now here's the question: Have you been to the Gobi Desert? LL: [laughs] No! I'm going to follow my teacher. AT: The full Gary Graffman itinerary. Our time's starting to run a little short, so I want to talk a little bit about this Prokofiev 3. LL: From the very beginning you look at it, is a very technical piece. But it's actually — it's not. It's the most beautiful and most interesting textured piece. And what I love the most is the character in this piece, I think because in a very unique time of the years when he wrote it. He wrote it young at the time. It is so explosively exciting! And for me, it even — when you hear it, you're questioning yourself, 'Is this still classical music?' It's actually unbelievable to see that the piano can do so many things that you wouldn't expect to hear before. I still remember when Gary showed me how to play the last runs of the coda for the third movement — you look like a big, gigantic cat playing on a piano, that kind of technique. And that is actually already beyond Liszt — when you think about Liszt as somebody who already made piano big jump technically. AT: Really pushed the boundaries. LL: Yeah, really pushed the boundaries. And then now you see Prokofiev and the Bartók No. 2 — you're like, 'Wow, we are really into a new time.' And today I would say when you are looking to those technique and those music of makings, you felt that wow, this is really advanced, this is really pioneers of thinking, to put piano into much bigger forms, and the range of dynamics blow off the roof and then come down to under the ground. It's just incredible. And I think that Gary also got a lot of those great ideas from Horowitz — the range of levels, of colors, of dynamics, and that style is the main drive for my recording, I would say, to look into those contrasts. LL: I must say the Bartók was quite interesting, because when Simon [Rattle] told me, he said, "You know, I think that everybody think Bartók 2 is very heavy piece. It's actually a very light piece." And that changed our view tremendously, because from the very beginning of the recording, everybody plays quite light from the orchestra — even the woodwind or the brass. In the very beginning, you don't feel that this is a real high-tech, exciting piece — you felt it's more like a folk dance. [sings] Very light. I thought this was great, a very special effect. When the dynamic goes up, you really feel the heartbeats start beating. And then obviously, it's a little bit harder to play, because you need to be very light and precise with the phrasing. But I really thank Maestro Rattle for that, that the whole piece became a folk dance, rather than folk bomb. And I remember Gary encouraged me to play Bartók pieces, because before I came to U.S. I barely know Bartók. I only know his children's pieces. But Gary said you need to learn two things: Out of Doors Suite and sonata. And then he said, "You should try No. 1 Concerto." So that's the three things he introduced me to of Bartók right away. AT: So are you now making your way through the 20th century? LL: My next recording is going to be Mozart. AT: Oh, so not at all! LL: Not really. But I always wanted to record No. 3 of Prokofiev. And I always wanted to make some recording with Maestro Rattle and Berlin Philharmonic, which — I've recorded many times with Vienna Philharmonic, and played many times with Berlin Phil, but never recorded. And then Simon asked me, "I don't think we should record those traditional things," because he said that in this moment, he recorded too many of those, and he wanted to do something else. And I said, "What about Prokofiev 3 and Bartók 2? They're only 10 years apart." And he said, "OK, great idea, let's do it." So actually he never record for Sony, this is actually his first recording, so I actually I feel quite appreciative because of the project became together. AT: I just want to say what a great pleasure and delight it is to have both of you here. And both of you in the same room at the time is a very special treat, so thank you. I really appreciate it. GG: Well, thank you. It's nice to be with Lang Lang!